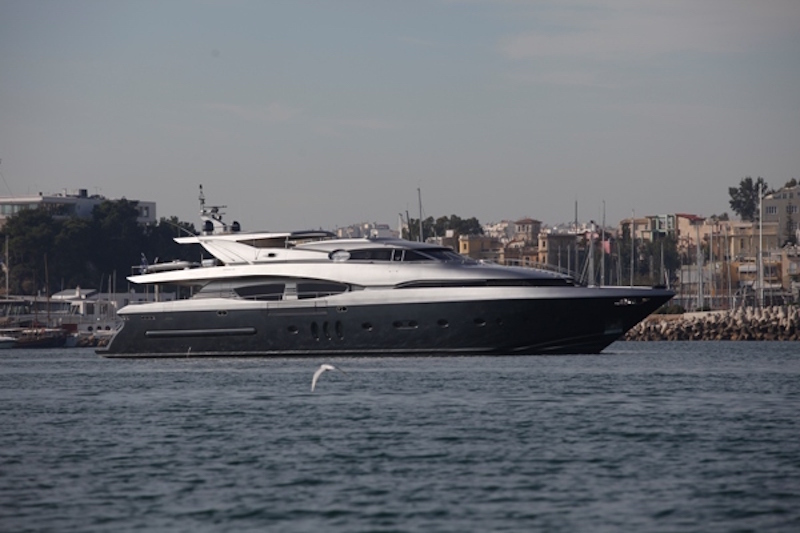 PEFTASTERI is a 37.5 m motor yacht built by Posillipo in 2009. 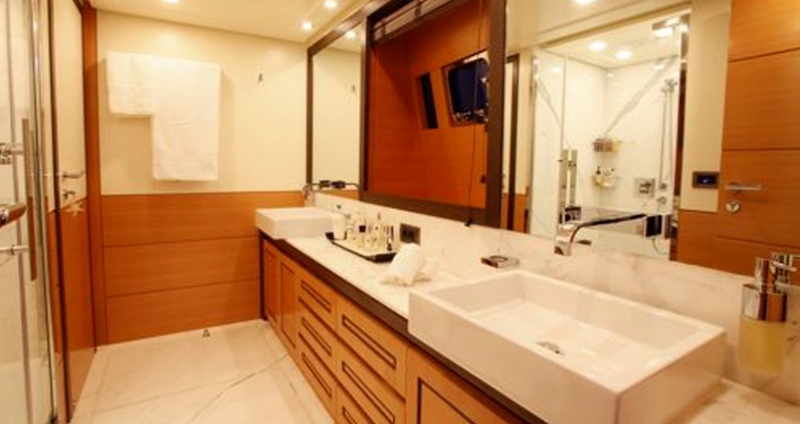 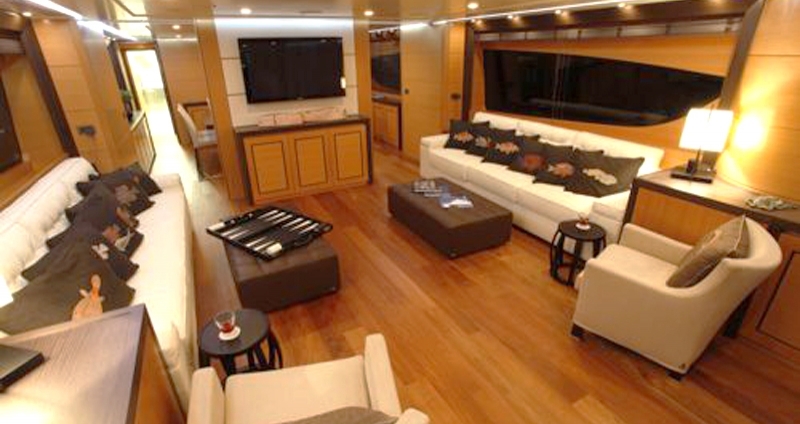 Her contemporary interior styling features some tones of beige, white and brown. 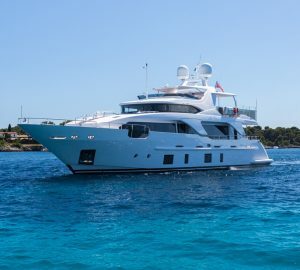 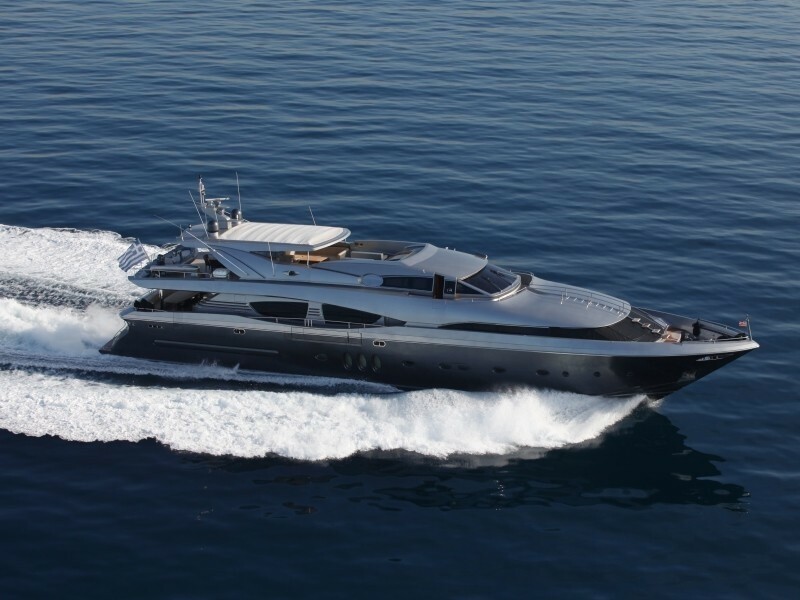 She is a perfect yacht for charters both with family and friends, as she boats great spaces for socialising and entertainment. 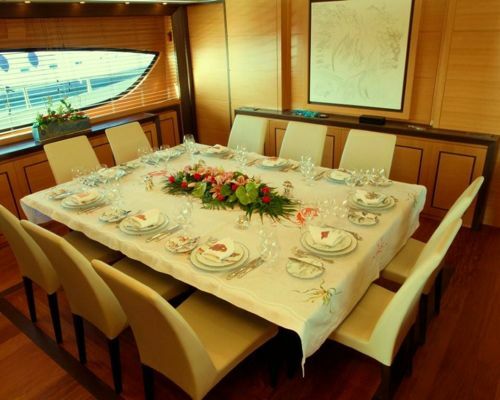 Her large dining table can be served in the highest standards of fine dining or just a casual family lunch. 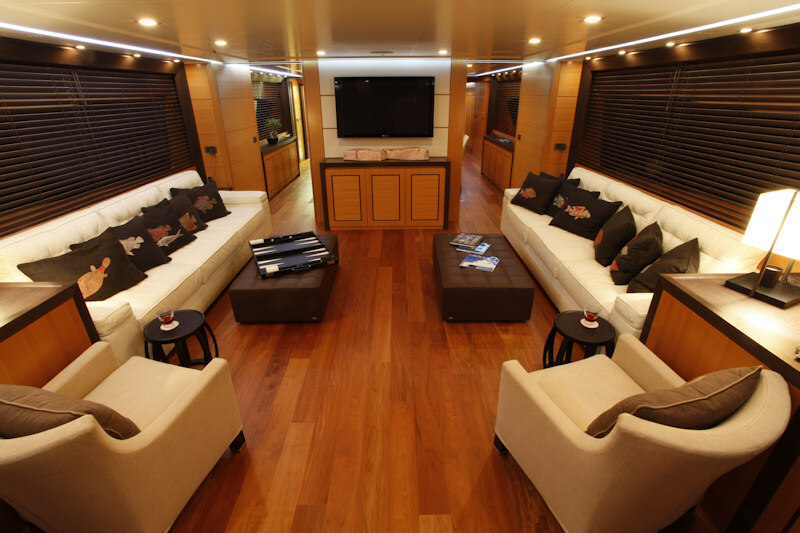 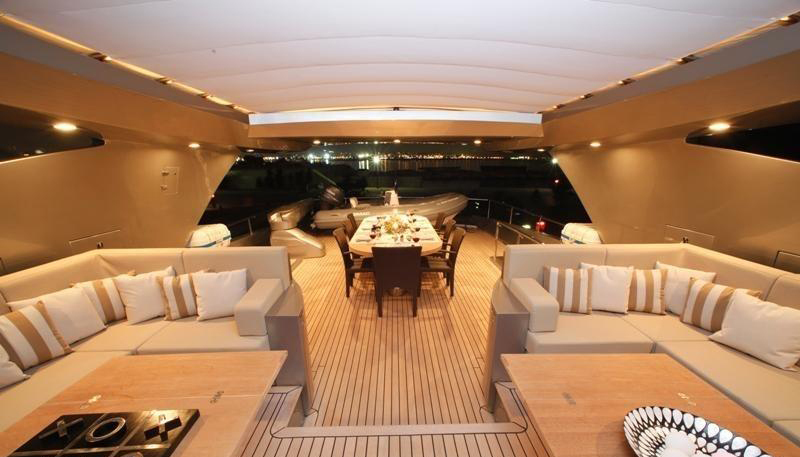 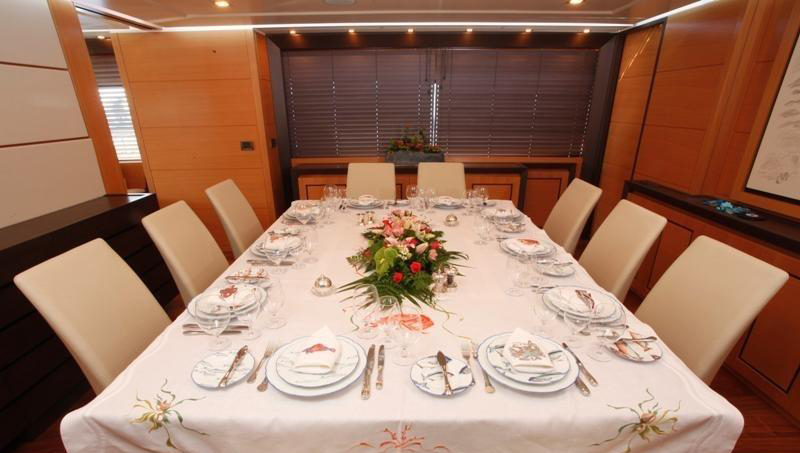 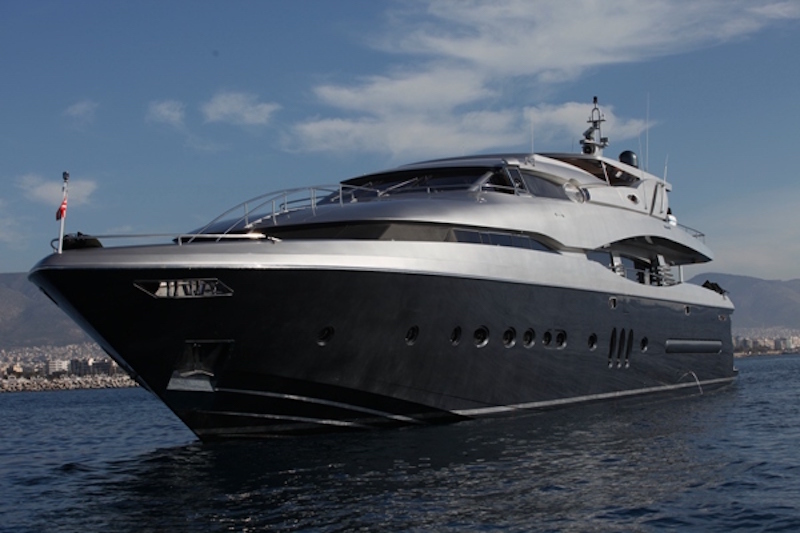 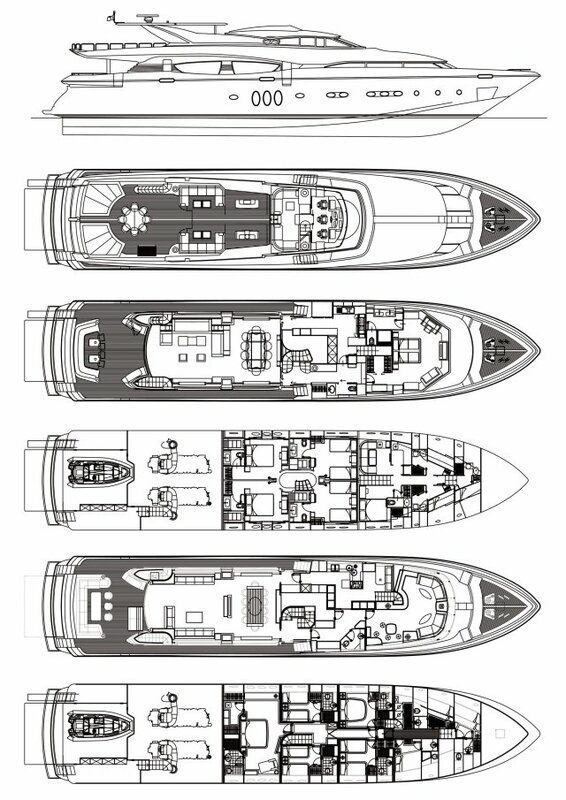 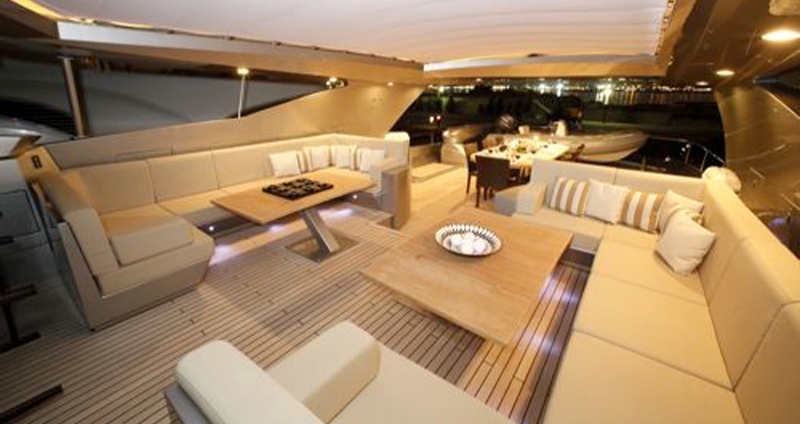 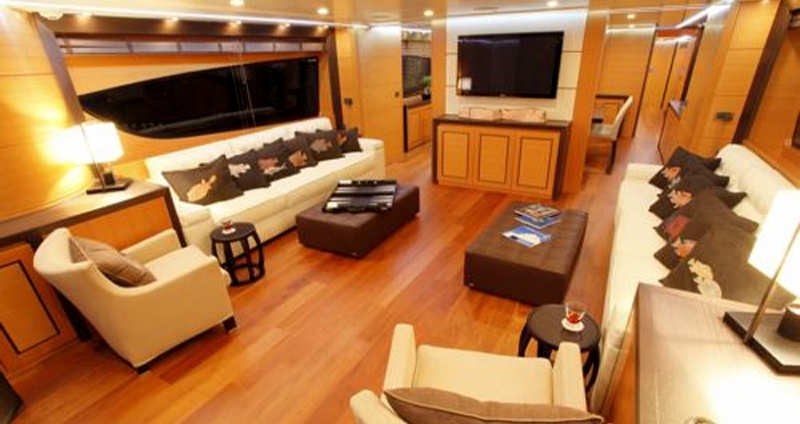 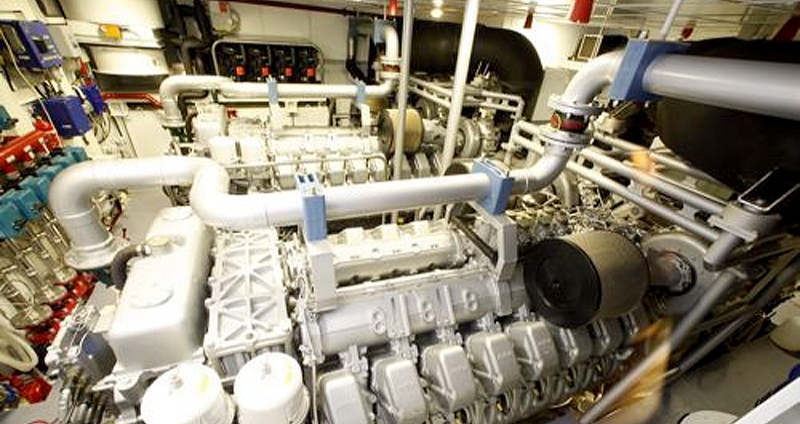 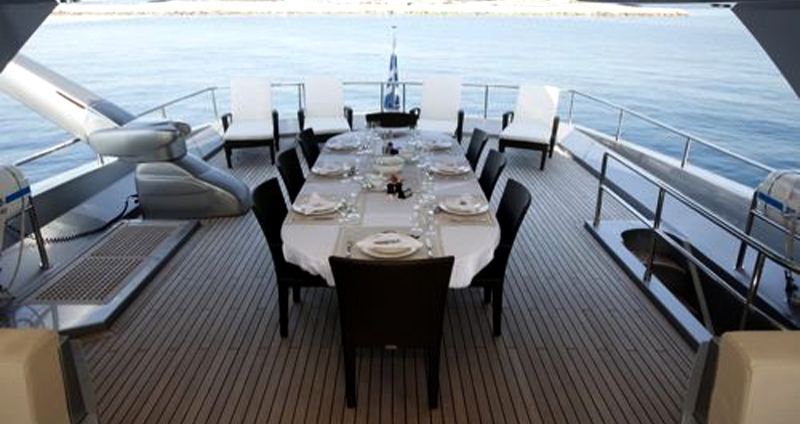 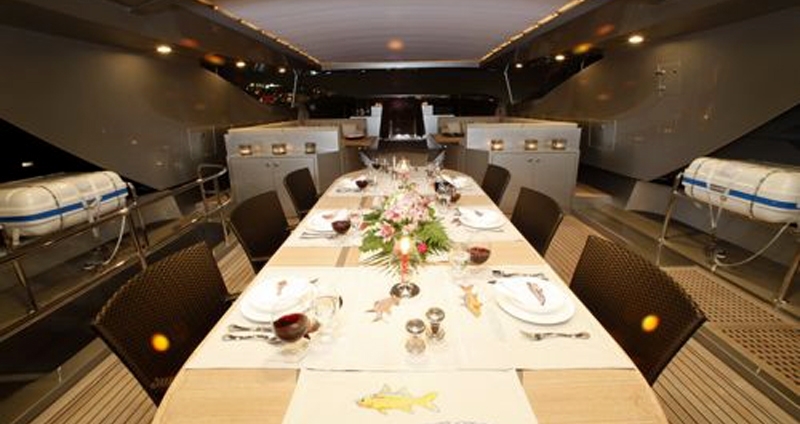 The sundeck hosts an alfresco dining area and a lounge, while the main deck aft has comfortable seating for ten guests. 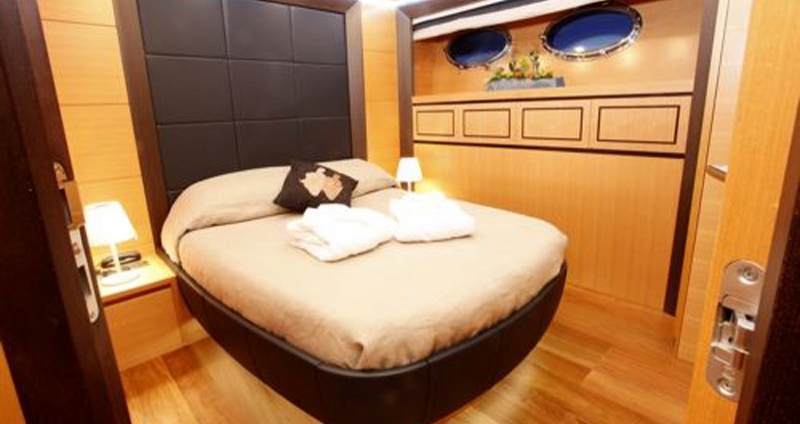 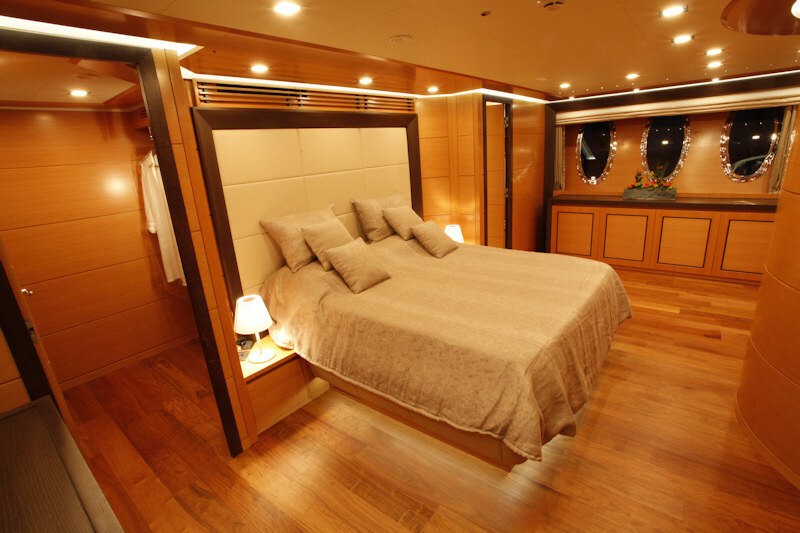 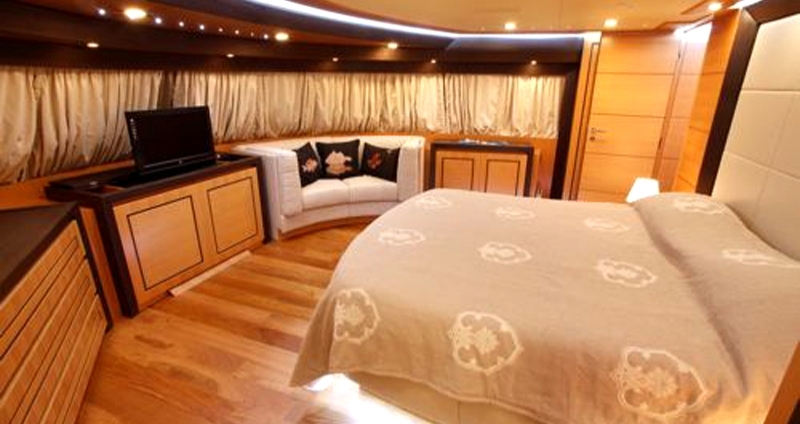 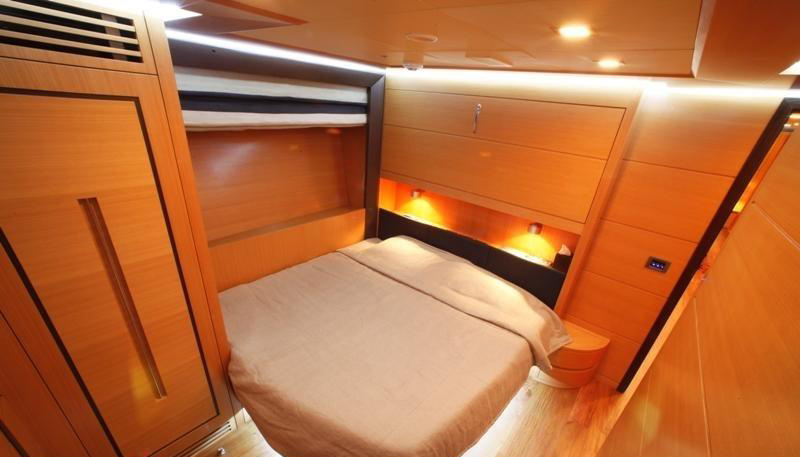 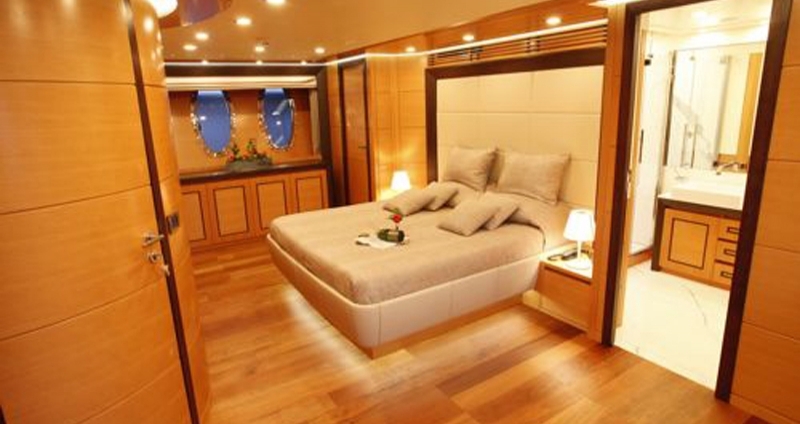 Accommodation is offered to ten guests in 5 cabins, including a full beam master suite, three double and one twin cabins. 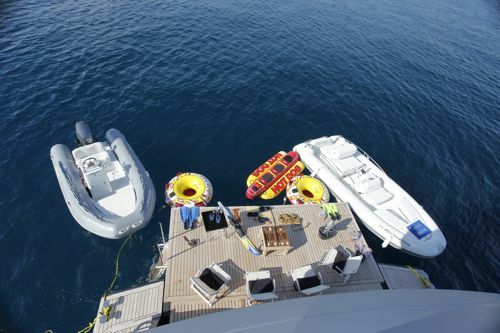 There is a selection of water toys for some extra fun on the water. 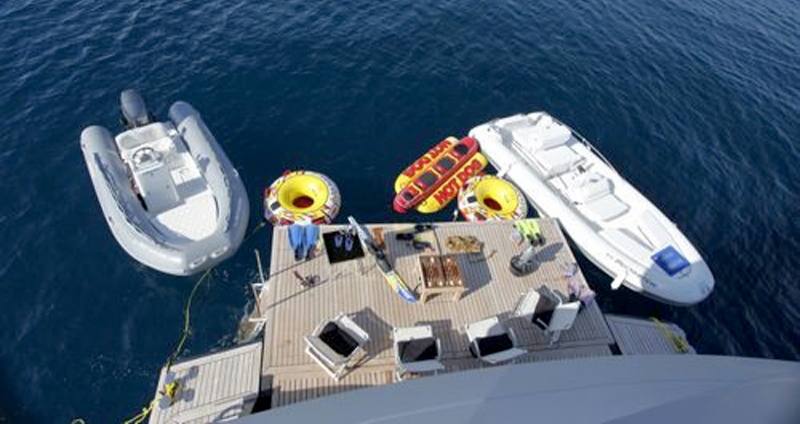 A highly professional crew of 5 is looking forward to welcoming charter guests onboard. 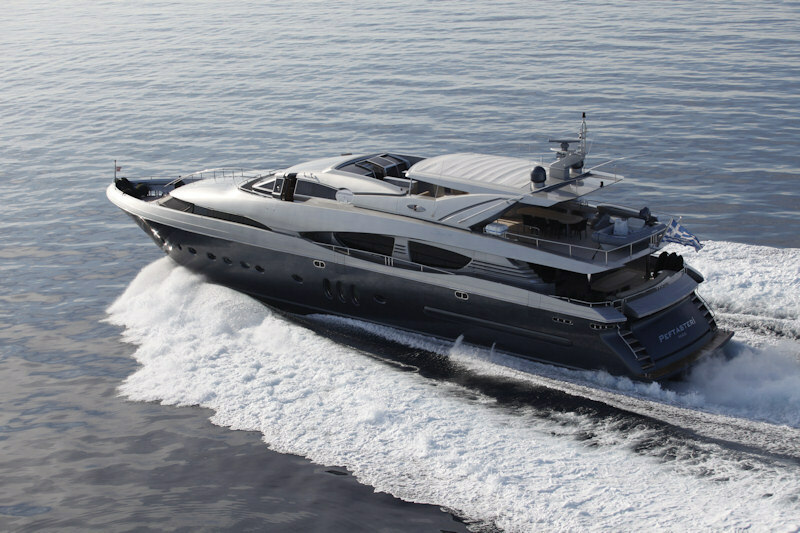 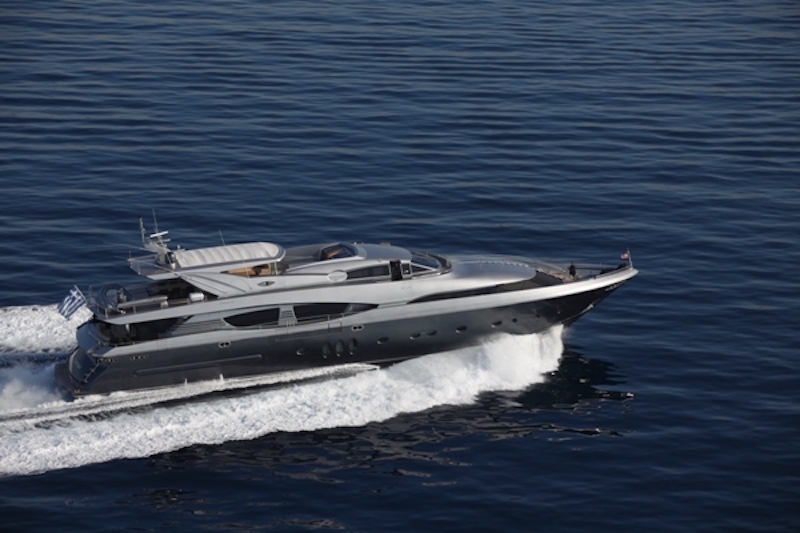 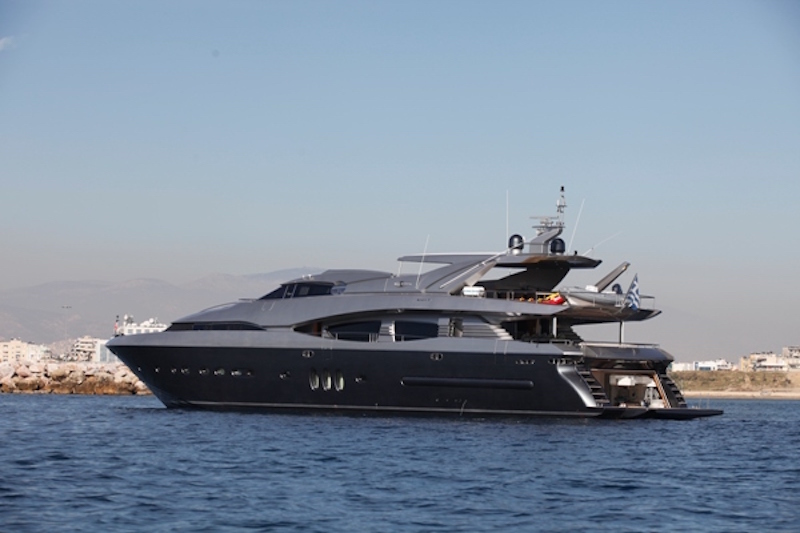 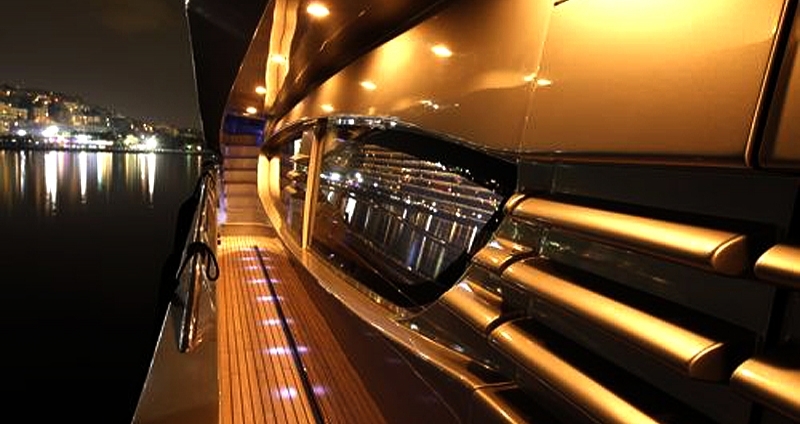 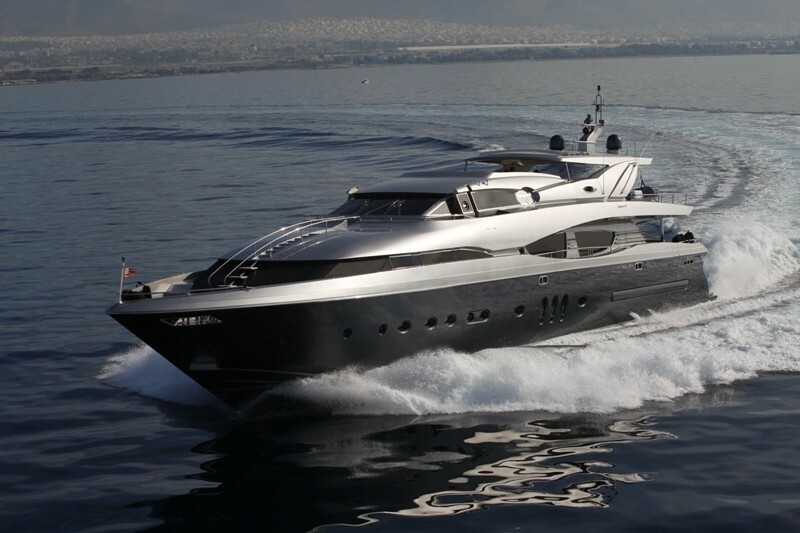 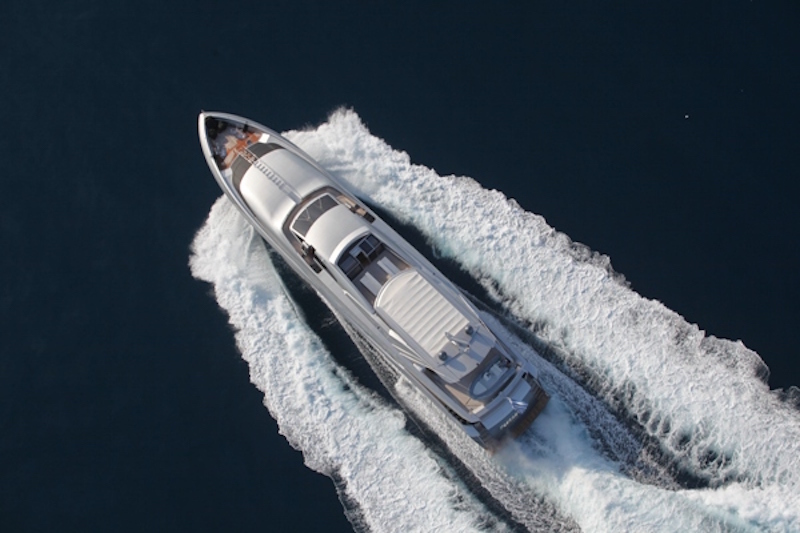 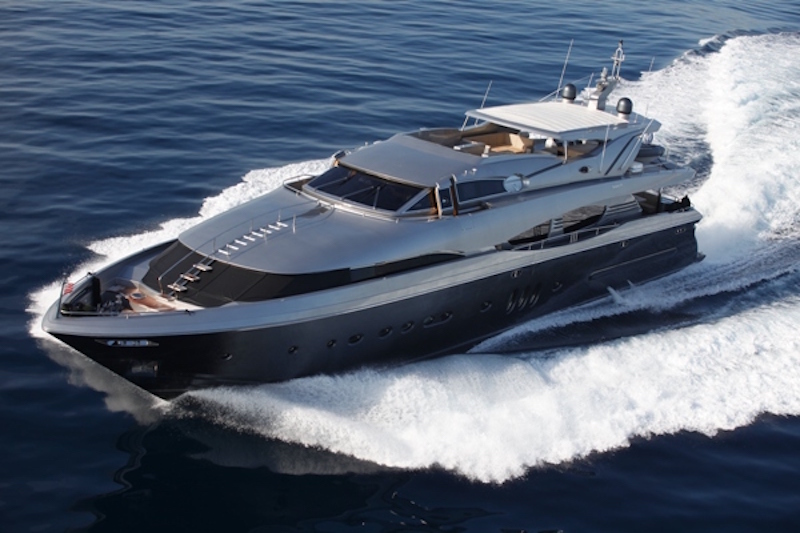 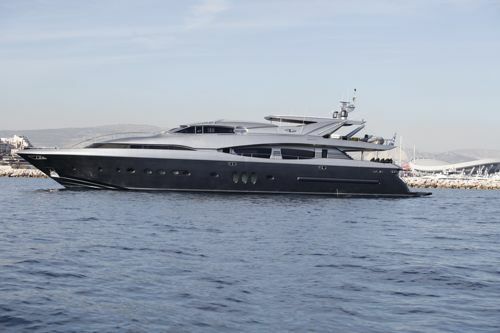 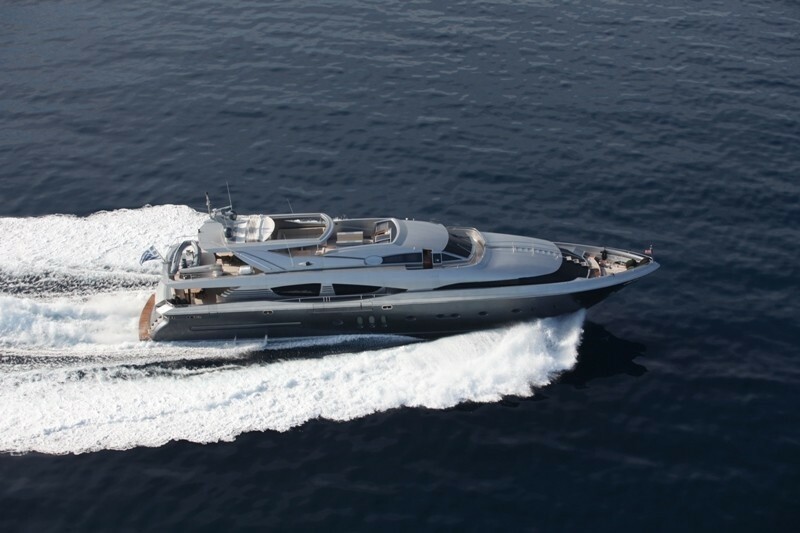 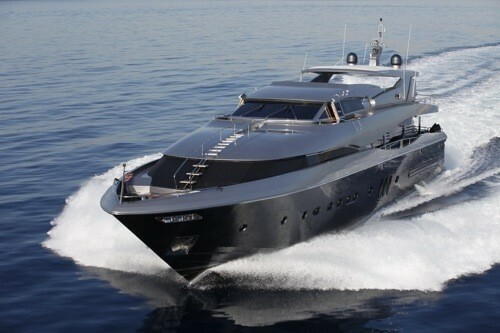 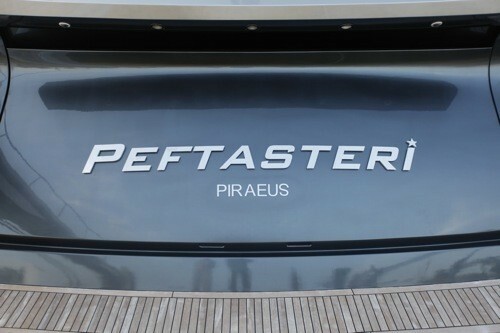 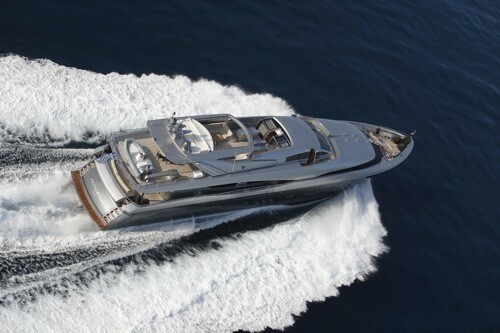 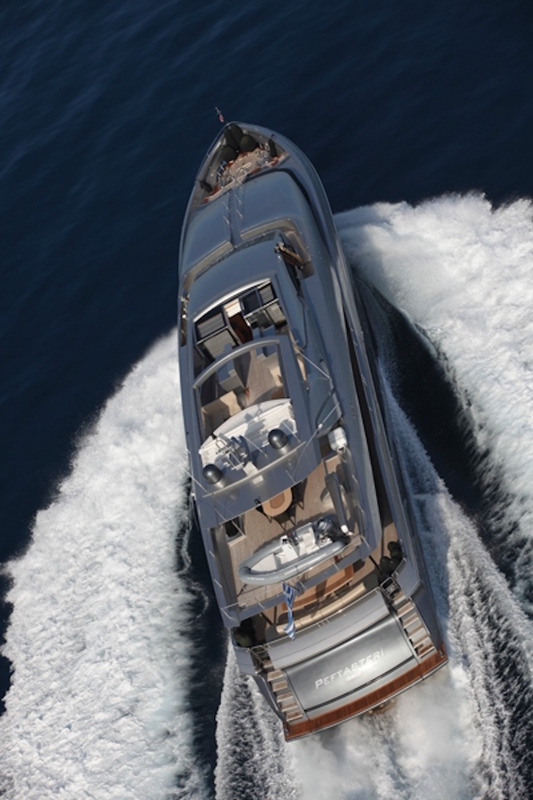 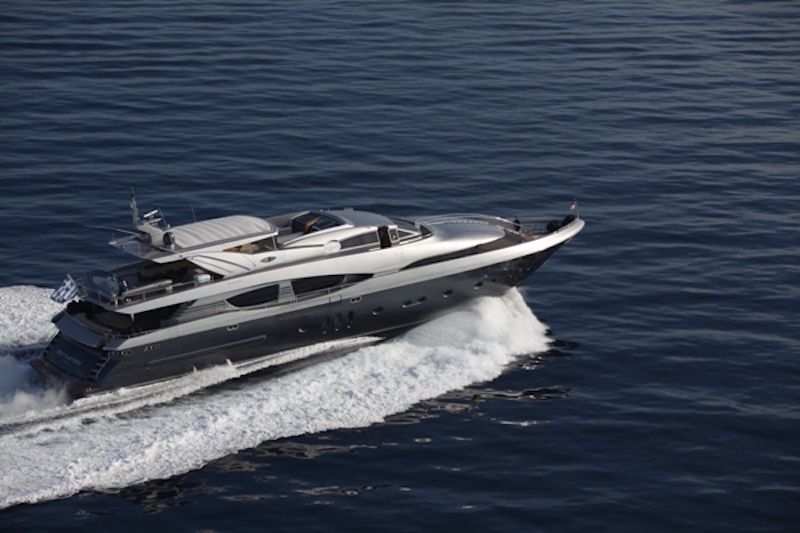 PEFTASTERI has an impressive top speed of 29 knots and a cruising speed of 24 knots.